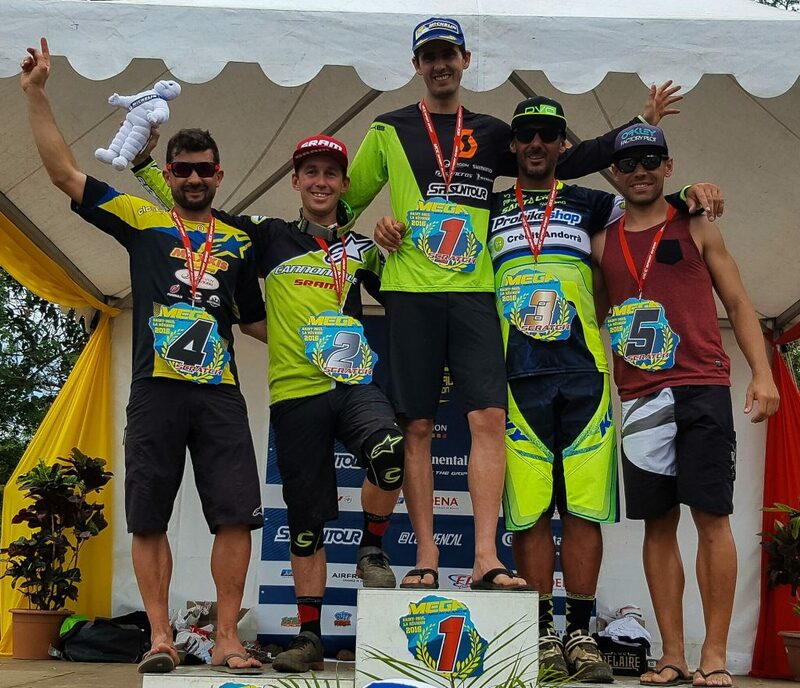 Jérome ends up 2nd and Pauline won the Megavalanche! It’s almost the end of the season! 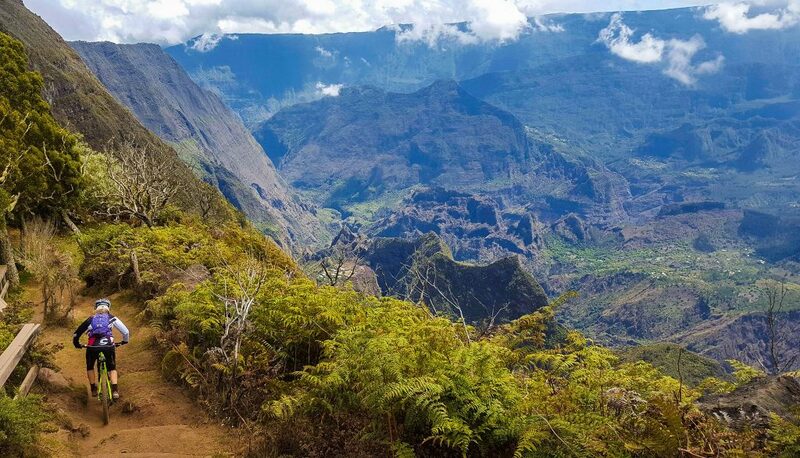 For the last trip of the year, Pauline and Jérôme go to “Reunion Island”, a little volcanic island in the middle of the Indian Ocean, where the Megavalanche takes place. 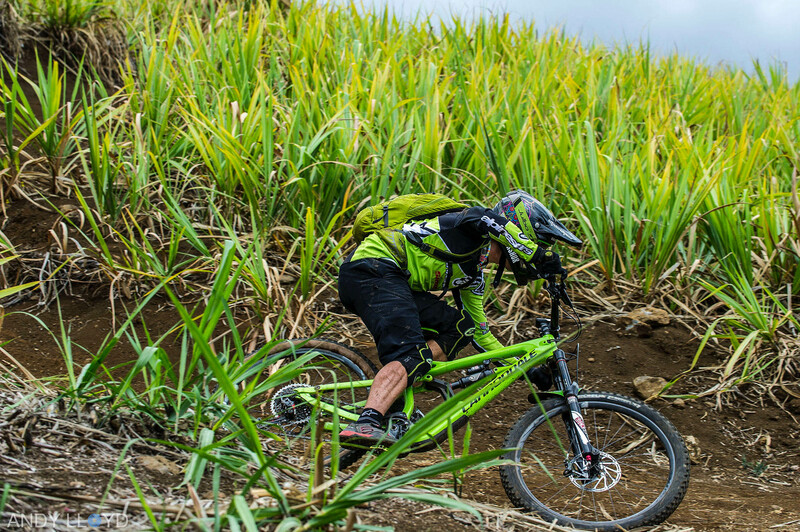 Riding in Reunion Island is always an epic experience! From the “lava section” at the top of “Maïdo” mountain, which is a rim of an old volcano, to the jungle full of roots and last but not least, a physical part in the sugar cane field. Riders must be consistent and fast from top to bottom and judge whenever it is clever to let the break go without damaging the material! Back to back for Pauline! 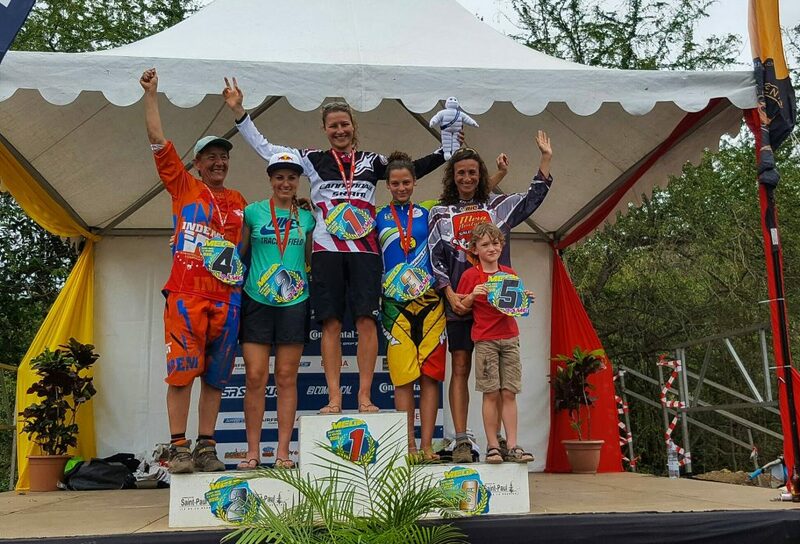 As Pauline won the Megavalanche in Alpe D’Huez on July, she wanted to go for a double in Reunion Island. That was not an easy task even though there were only few women. But some good attend the race, like Pauline Ferrand-Prévot (World Champion in XC, cyclecross and road in 2015)! 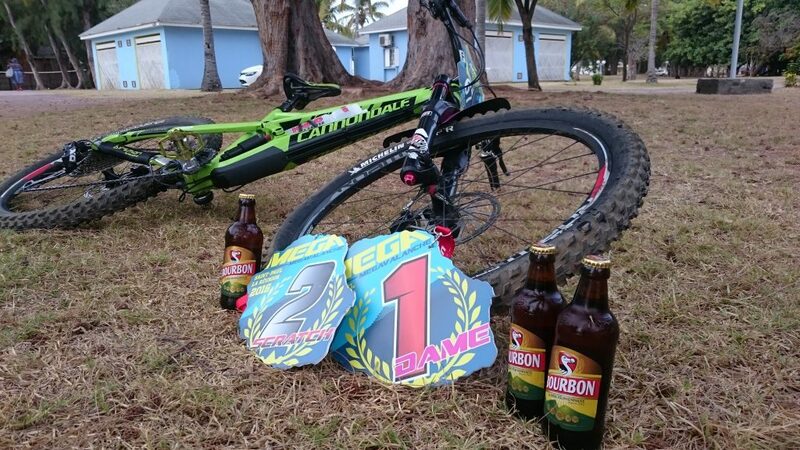 Moreover on the race day, the Mega ladies has to start with the men Mega challenger all together. The goal was to start fast to stay with the front group to avoid the dusty trails! Pauline was full-on and stayed on a good rhythm and rode fast in the jungle part. The last section was more physical and she had to catch some advantage to keep her front spot. She manages to win the race in 53’23 and was happy to cross the finish line first! During the qualifications day (which give you the ranking in the line for the race), Jérôme cut his tires and lost a lot of time. He ends up in line D, and the race will be a real mission as he had to overtake almost 60 riders in front of him to be in the battle again. 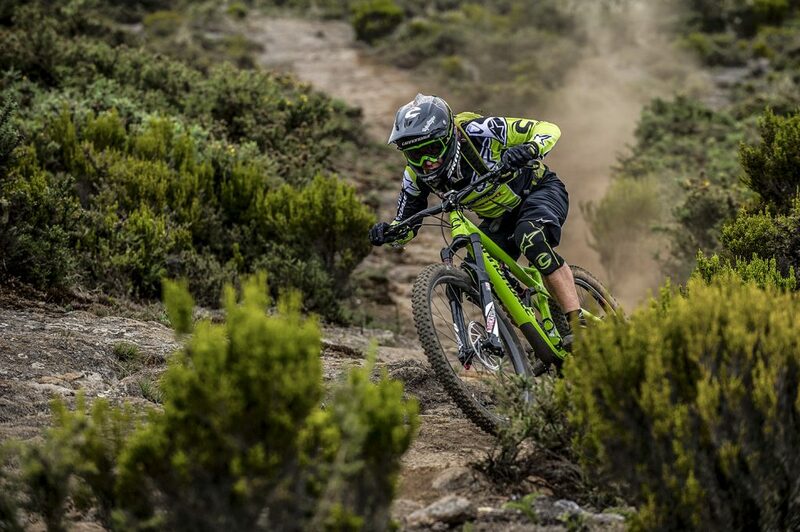 He took some rowdy lines to pass over riders and managed to be on the top 10 after 10 minutes of racing! Then he rode with Cédric Gracia and Julien Absalon, catching riders until he reached second place. Rémy Absalon who win the race, was already far ahead, so he was super happy with second and his strong comeback!